Just noticed this when making my latest ridiculous TP toon. That arm is definitely bending back. Nup, the hand is on the wrong arm, or the entire arm is on the wrong side. I guess that's the only way an arm would bend back without breaking? "Sometimes my arms bend backwards". Try bending your arm back and look at the hand. It cannot do that, no matter how you try. Trust me on this; I know a bit about anatomy and that hand is on the wrong arm. The entire arm would have to bend back and move to the other side of the body. I guess you are right when it comes to human anatomy. --! !-- great find! And as per the conversation on this thread, the arm isn't bending backwards. The crook of the arm is as it should be - but it's the right arm's hand. - love this. Thanks. ---um, there's something else I hadn't noticed until seeing your screenshot. The Experiment has what seem to be small horns or ears at the top of her head. 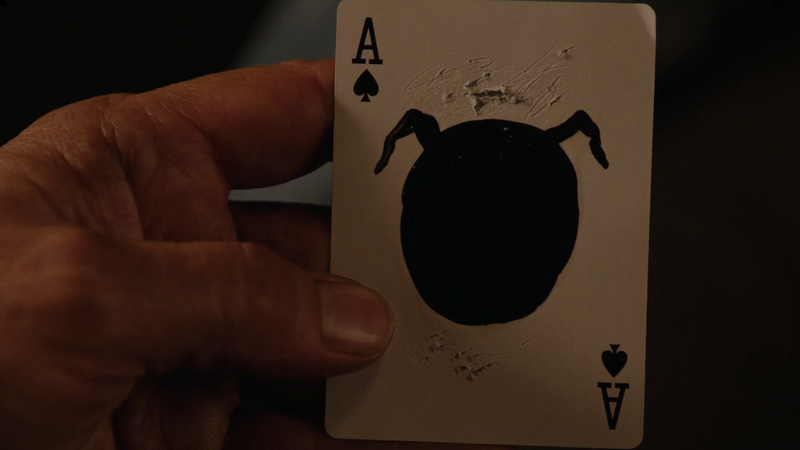 -- Couldn't that be something like Bad Cooper's Ace of Spades? You know, I'm such a doofus. 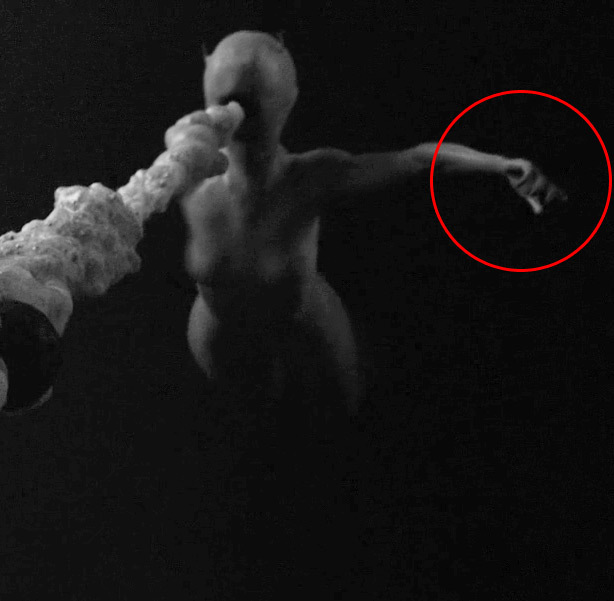 A friend of mine who's a big twin peaks fan and also heavily into symbolism had to tell me that the experiment is called the experiment because of the Abomb experiment. Semantically I just never linked the two. Sheesh.